Jealousy between siblings comes in several forms. Maybe you’re dealing with the oh-so-normal jealousy of a brand-new big sibling who’s envious of the attention the new baby gets. Or perhaps you’re struggling with a frustrated younger sibling who’s jealous that she can’t do everything her big brother does. Either way, there are tactics you can implement to reduce the tantrums that can result from the green-eyed monster. Take steps to reduce jealousy between siblings and foster a healthy relationship between them. It’s also important to keep an older child feeling loved and important, so offer lots of praise when you catch him doing something good, particularly when it relates to the new baby. If he gives the baby a gentle hug or kiss, go crazy about what a good big brother he is. If he helps you by getting a diaper, gush over it. Add a few non-baby-related gushings, too, such as saying “I love you” a few extra times or making time in the evening to add an extra story or song before bed. Divide responsibility equally: While one child might be acting as the bully and the other as the victim (though, next time, the roles will probably switch), don’t blame just one child. Even if one of them “Started it,” be clear that the “victim” doesn’t have attend every spat she’s invited to. Avoid comparison: One child will likely be better at math than the other. The older child will likely always be able to run faster than the younger child (to a point). Avoid comparison about ability or behaviors. Simply ask your child to compare himself to his own previous abilities, such looking at whether they’re improving their writing skills or scoring more goals in the game as compared to last year. 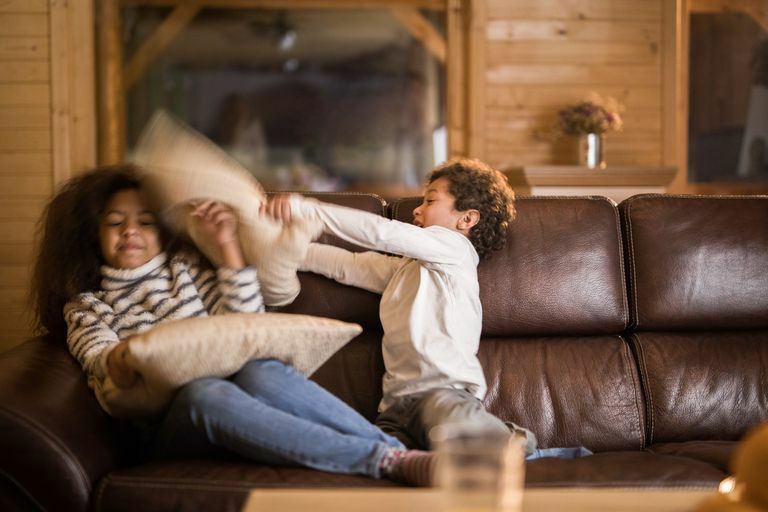 Skip negative nicknames: It seems like it’s all fun and games to call your oldest child “Shorty” and your youngest “klutzy,” but labeling your kids can often create resentment and, eventually, jealousy between the siblings. Schedule one-on-one time: So much resentment comes from thinking that a parent loves one child more than another. Make space in your schedule to give each little one some time for just the two of you. It doesn’t have to be fancy—you can curl up on the sofa together to read books while the younger one is napping, or you can catch a movie with the preschooler while the big guy’s in school. Just make sure that each child knows that he holds a special place in your heart.